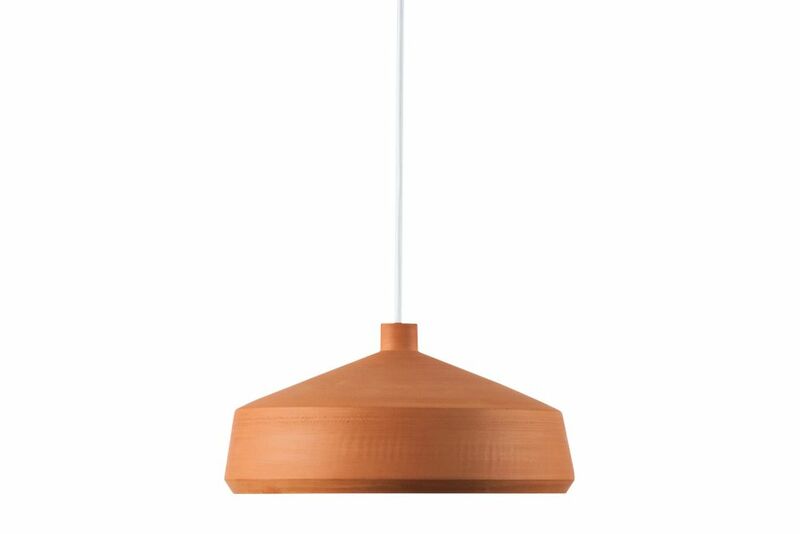 Each of Flame Pendant Light is unique and has been hand-crafted with care and dedication, mixing traditional pottery techniques and natural materials to contemporary lighting designs. Flame Pendant Light wears two personalities: the exterior has been left au naturel and unvarnished while the interior softly contrasts by proposing a white glazed finish. Subtle lines left by the production process circle the outside of the lampshade adding to it movement and fluidity while recalling the twirl of the potter’s wheel.